A modern twist on the traditional Queen of Hearts costume. 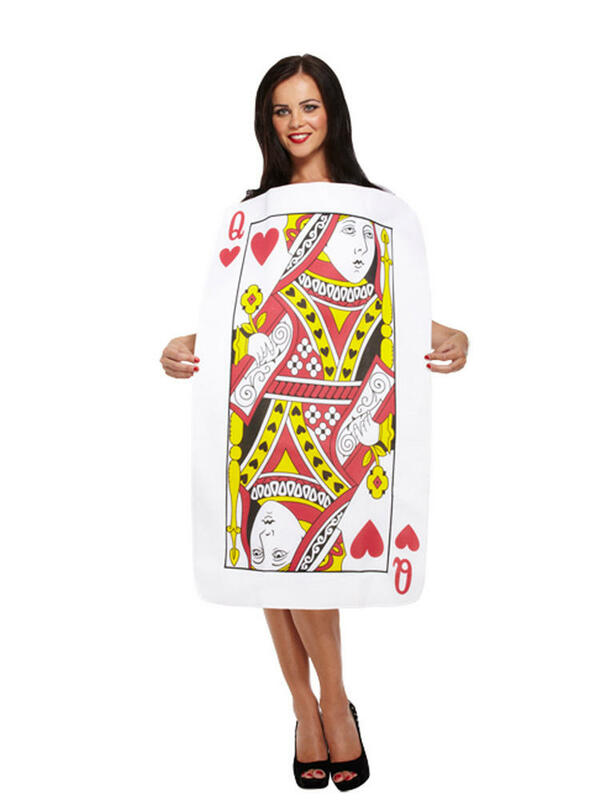 Ideal for any fairy-tale themed parties or Casino events. 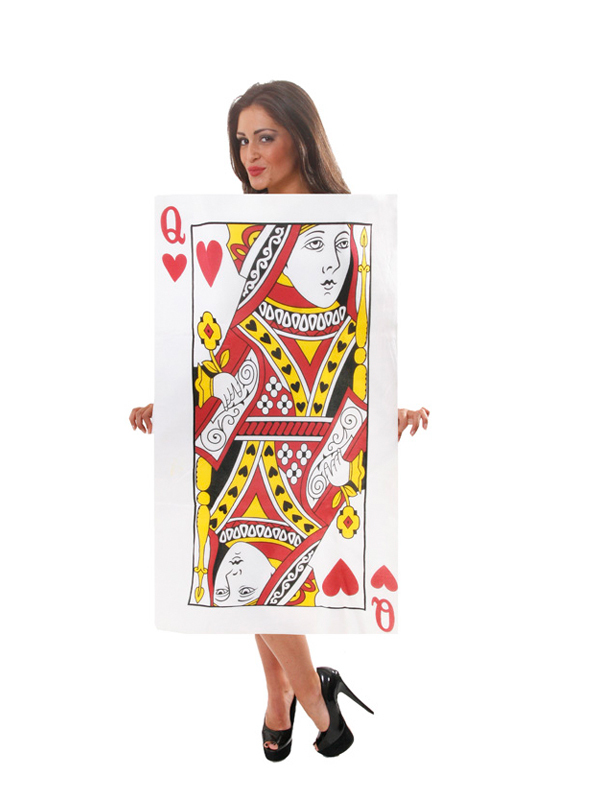 Includes white bodysuit with Velcro back and giant playing card attached at the front. Take a look at our store for more fairy-tale themed fancy dress ideas!